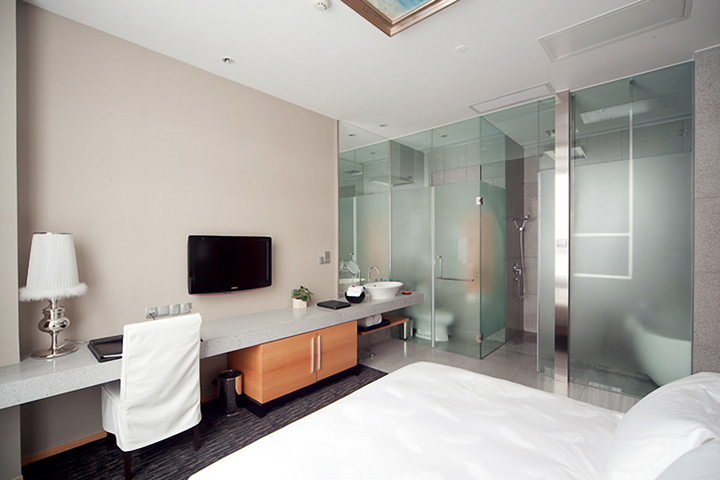 Located at the foot of Baiyun Mountain and facing the tranquil Luhu Lake, Carat Hotel & Spa, now has been re-flagged as Royal Tulip Luxury Hotel Carat - Guangzhou, is a 5-star hotel with splendid natural sceneries, under the management of Louvre Hotels & Golden Tulip, the world's 8th biggest hotel player. With its high-end facilities and services, Carat Hotel combines services for business, meeting, leisure and entertainment together. Minutes' away from the Wanda Int'l Square, the hotel is only about 30 minutes drive to the Baiyun International Airport, and 5 minutes to the East Train Station and the Guangzhou-Kowloon Station. Royal Tulip Carat, a low-rise building, has a huge and tall lobby with 178 trendy stylish guest rooms, equipped with WIFI internet access to cater to both business and leisure needs. The 600 sqm pillar-free Grand Ballroom plus 5 additional functional rooms and a team of professional staff are at your service to help you planning any of your events. Home Kitchen and Dragon Phoenix Restaurant are always ready to serve you with exquisite dining experience. There is also a highlight of the service - Yu Spa, where you can rest yourself after one day's business. Spa is one of the most remarkable features of Carat Hotel. With the spa to relax your body and the charming natural sceneries to feast your eyes, you can emerge yourself in the world of peace and serenity. Package is only available for the following period: Apr 14 2011 -May 4 2011 The price is ONLY available for Minimum Stay of 3 Nights and Prepaid Booking. 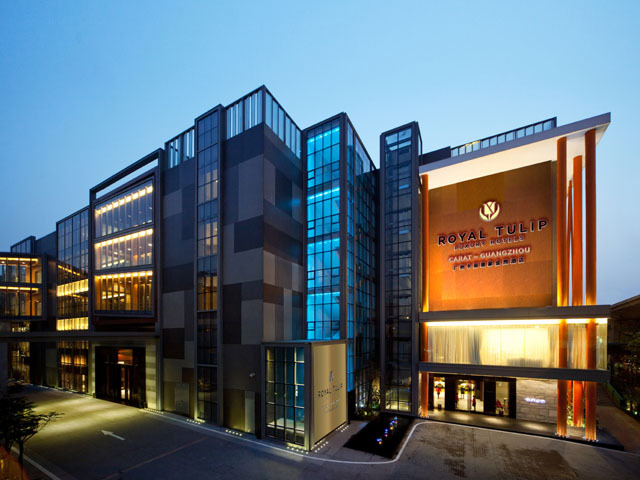 Royal Tulip Carat offers total 302 rooms with elegant décor, providing you with a comfortable & pleasant environment. There are luxury floors, non-smoking floors as well as themed rooms catering to the different needs of guests. Wifi is available in all rooms.